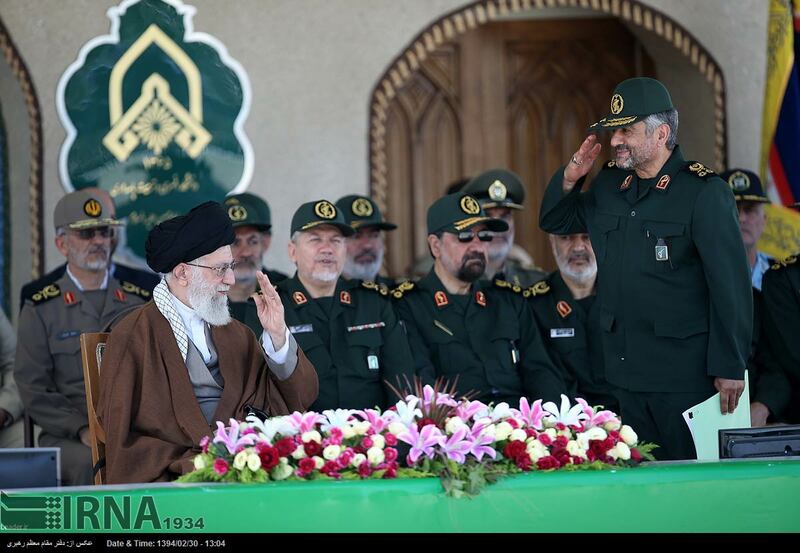 Will Iran's Revolutionary Guard Support Nuclear Deal? CAIRO-The Iran nuclear deal may be done, but the fight to make it happen - or not happen - is just beginning. Supporters and detractors are lining up on both sides, with one of the most formidable players, Iran’s Revolutionary Guard Corps, condemning the United Nations Security Council’s unanimous endorsement Monday of the deal. Amid the rhetoric, however, analysts say individual statements often do not reflect what organizations will actually do. When speaking publicly about the Iran nuclear negotiations over the past two years, officials were vigilant about directing their rhetoric to all concerned parties - frequently making them sound like they are contradicting themselves. The agreement reached in Vienna last week between Iran and the permanent members of the U.N. Security Council, Germany and the European Union aims to curb Iran’s nuclear program in exchange for relief from economic sanctions. Iran’s Supreme Leader, Ayatollah Ali Khamenei, has expressed both cautious support and suspicion of the deal, but has not moved to block it. Iran’s supreme leader is effectively the Revolutionary Guards’ “commander in chief” and they will not seek to block any deal without Khamenei’s support, according to Ali Vaez, the International Crisis Group's senior analyst for Iran. The organization, however, is “not monolithic,” he added, with upwards of 100,000 members and a vast business empire. Besides being Iran's most powerful security apparatus, it is one of the country’s largest business conglomerates, operating everything from telecoms to construction companies, estimated to be worth billions of dollars. Lifting sanctions could cut into some Revolutionary Guard business by increasing foreign competition and dismantling a system that has grown up around sanctions, Vaez said, adding it could also improve the economy as a whole, and in turn increase profits for the Revolutionary Guard. The greater challenge in pushing the deal into the implementation phase is winning the approval of lawmakers in both the United States and Iran and keeping the original agreement intact, Vaez adds. The Revolutionary Guards may not have a direct vote on the deal, but as Iran’s elite forces in a region in conflict, the notoriously opaque organization increasingly has a de-facto say in major policy decisions, added Yan St.-Pierre, who heads Berlin-based security firm MOSECON. In the long run, supporting the deal is in the Revolutionary Guard’s financial and security interests, according to St-Pierre. Besides increasing national revenue both public and private, sanctions relief will make more than $100 billion in frozen assets available to the government. Critics of the deal, including Israel and Saudi Arabia, fear Iran will use the funds to fuel conflicts in Syria, Iraq and Yemen while secretly building nuclear weapons at home. Even if there is the potential for increased conflict, the consequences of not curbing Iran’s nuclear program are equally - if not more - dangerous for both Iran's friends and foes in the region, according to Cairo-based political analyst Hisham Kassem. The United Nations Monday tasked the International Atomic Energy Agency to begin nuclear weapons inspections in advance of beginning to tear down sanctions that have crippled the Iranian economy. Iranian leaders have repeatedly called for sanctions, including an arms embargo, to be lifted as soon as the deal is in place. Other objections from inside Iran include the fear that IAEA inspectors will use access to sensitive military sites to spy for other countries. Ultimately, it will take years to measure the value of the deal, according to Kassem; and its perceived success or failure may largely depend on Iran’s actions moving forward.